10% off your first order. Editor verified. Coupon code working properly! Up to 70% off suits & tailoring. No coupon code required. Click link to activate. Up to 50% off selected items. No coupon code required. Click link to activate. 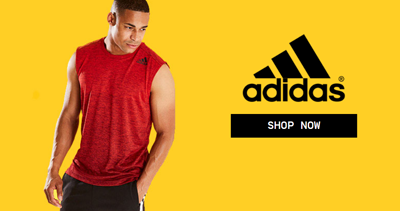 Up to 50% off adidas clothing and footwear. No coupon code required. Click link to activate. Up to 30% off footwear. No coupon code required. Click link to activate. Up to 30% off featured items. No coupon code required. Click link to activate. Up to 25% off select lines. No coupon code required. Click link to activate. Receive a 10% discount off your first order + free standard delivery. Applied to clothing,underwear and footwear only. Adidas starting from £8. No coupon code required. Click link to activate. Replica football shirts from £40.No coupon code required. Click link to activate. 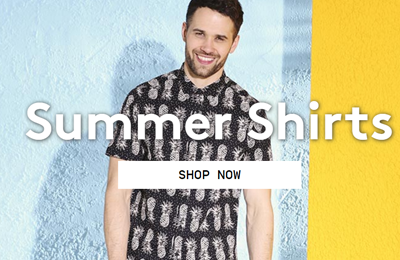 Holiday picks under £15.No coupon code required. Click link to activate. 12 Months Unlimited Delivery Only £9.95. No coupon code required. Click link to activate. 2 for £15 on t-shirts. No coupon code required. Click link to activate. 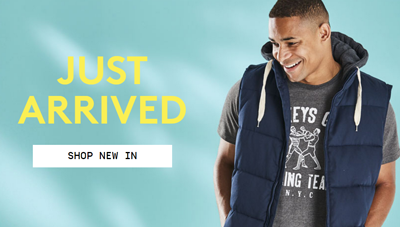 Buy 2 & save £5 on sportswear. No coupon code required. Click link to activate. Buy 2 & save £5 on Mitre. No coupon code required. Click link to activate. Buy 2 & save £5 on work shirts.No coupon code required. Click link to activate. Buy 2 & save £5 on ellesse tees. No coupon code required. Click link to activate. Free MyHermes parcelshop click & collect on all orders over £40. No coupon code required. Click link to activate. 20% off. Editor verified. Coupon code working properly! 20% off fashion footwear&underwear. Editor verified. Coupon code working properly! £20 off sitewide. Editor verified. Coupon code working properly! 10% off footwear. Editor verified. Coupon code working properly! Up to 30% off holiday shop. No coupon code required. Click link to activate. 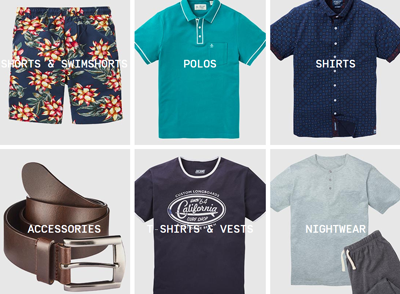 Up to 30% off polos&t-shirts. No coupon code required. Click link to activate. Up to 20% off father's day gift. No coupon code required. Click link to activate. Up to 65% off shorts & swimshorts. No coupon code required. Click link to activate. 2 for £10 on basics tees. No coupon code required. Click link to activate. 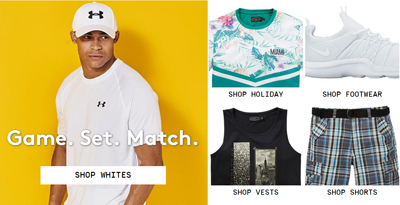 Jacamo is one of the UK’s leader fashion retailers for tall and large men,with a huge selection of men’s fashion available and some of the hottest brands and newest styles on offer, Jacamo has it all. Whatever you need to update your wardrobe, shop a range of blazers, chinos, coats, jackets, jeans, jumpers, polo shirts, sports clothing and work-wear. They are home to popular names including adidas, Ellesse, Nike, Original Penguin, Timberland, Under Armour and Weekend Offender – just to name a few. If you like the laid-back sporty look or you like to be suited and booted; you’ll be able to find something to suit your style here!